A long-awaited report from the Department of Justice’s inspector general sharply criticizes U.S. law enforcement officials for allowing a grenade trafficker for vicious Mexican drug cartels to operate unfettered, endangering public safety. The Office of the Inspector General calls the federal operation “poorly conceived and executed” and “particularly irresponsible” because of information agents had about a dangerous suspect. The case reminded some observers of how the federal Bureau of Alcohol, Tobacco, Firearms and Explosives allowed thousands of assault rifles to be trafficked to Mexican drug cartels in the ill-fated Operation Fast and Furious. In fact, Jean Baptiste Kingery, the California man accused of being a grenade trafficker, came to the attention of the inspector general’s office during the probe of Fast and Furious, which also occurred on Attorney General Eric Holder’s watch as head of the Justice Department. The missteps of the U.S. attorney’s office in Arizona and the ATF allowed Kingery, a 43-year-old U.S. citizen, to move massive amounts of grenade parts and ammunition to Mexico’s ruthless drug cartels, Inspector General Michael Horowitz concluded. This “grenade walking” mirrored, in some respects, the controversial gun-walking strategy used in ATF’s Operation Fast and Furious and also involved the same U.S. attorney and ATF offices. Kingery should have been arrested and charged with violating the Arms Export Control Act (AECA) … long before he finally was. We also believe that some of the decision-making in the Kingery case reflected agents’ and prosecutors’ inadequate consideration of the risk to public safety in the United States and Mexico created by Kingery’s illegal activities. A full five years later, in late 2009, ATF also learned Kingery was dealing in grenades: He’d ordered 120 grenade bodies on the Internet. Documents show ATF secretly intercepted the grenade bodies Kingery had ordered, marked them and delivered them to him on Jan. 26, 2010. The agency’s plan was to follow Kingery to his weapons factory in Mexico, with help from Mexican authorities and U.S. Immigration and Customs (ICE) agents. >>> FBI Radio: Public Service or Self-Serving? 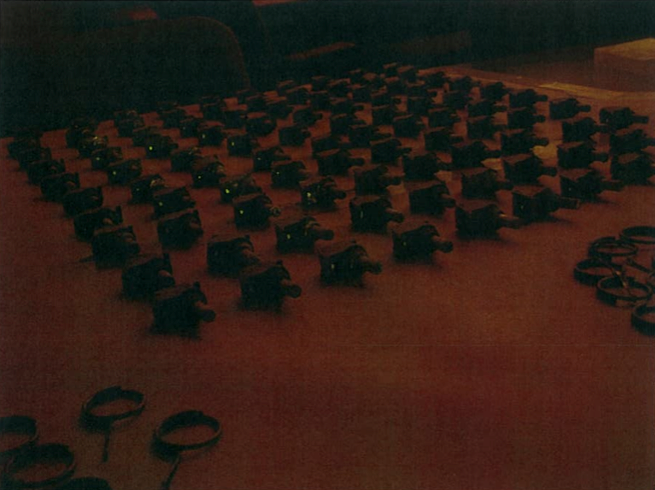 ATF agents realized they might lose track of Kingery and the grenade parts in Mexico. But their emails show little attention to those who could be killed. 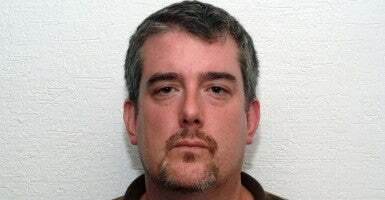 Instead, officials expressed concern with tying the grenades to Kingery after the weapons reached Mexico. “Even in a post blast, as long as the safety lever is recovered we will be able to identify these tagged grenades,” one email says. 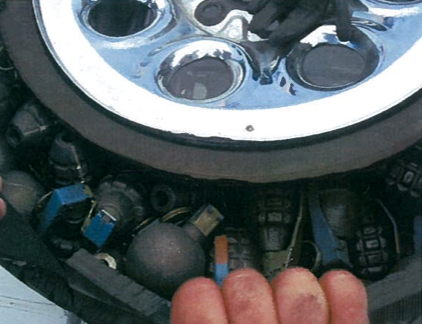 Truck spare tire contains grenade hulls and components. Horowitz’s report faults the plan for not including adequate resources to conduct surveillance or meaningful coordination with federal Immigration and Customs Enforcement (ICE) and Customs and Border Protection (CBP) officials. Even within ATF, the plan to allow Kingery to traffic grenade parts into a foreign country and track him to his factory drew strong objections. That’s not possible. We are forbidden from doing that type of activity. If ICE is telling you they can do that, they are full of [expletive]. 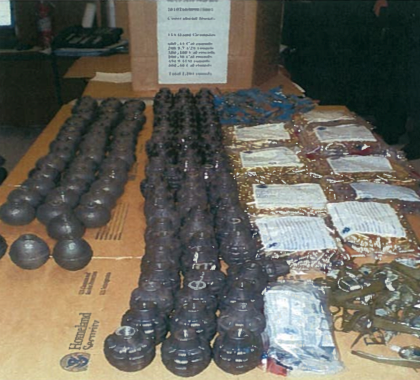 Grenade hulls and components seized from spare tire of Kingery’s vehicle June 15, 2010. Officials did lose track of Kingery in Mexico. But that wasn’t the last time he would be on law enforcement’s radar, yet allowed to remain on the street. Kingery resurfaced several months later in 2010, trying to smuggle a stash of grenade bodies and ammunition into Mexico. But the inspector general concluded the prosecutor “decided not to charge Kingery” in hopes of agents working him as a “source.” ATF’s senior leadership in Arizona did not raise objections. Horowitz’s report says the U.S. attorney’s office and ATF should have brought charges “immediately” against Kingery or taken steps to control his movements and the danger he posed to the public. Evidence photos later turned over to Congress under subpoena showed a frightening collection of grenade parts and fuse assemblies and more than 2,000 rounds of ammunition hidden in a spare tire of Kingery’s SUV that crossed from the United States to Mexico. The U.S. attorney’s office in Arizona said to have blocked Kingery’s arrest is the same one that oversaw Fast and Furious during the same time period. Grenade fuse assemblies received by ATF in January 2010. In Fast and Furious, ATF agents let thousands of assault rifles and other weapons be sold to Mexican drug cartels unimpeded. The strategy was to try to get to the cartel kingpins, but it was halted after CBS News reported that weapons from Fast and Furious were used by cartel thugs in the murder of Border Patrol agent Brian Terry on Dec. 14, 2010. Weapons trafficked by other ATF suspects under surveillance were used two months later in the ambush and cartel murder of ICE agent Jaime Zapata in Mexico on Feb. 15, 2011. In 2011, a year and half after Kingery was said to be caught smuggling grenade parts from the United States to Mexico but released, Mexican authorities raided Kingery’s factory in Mexico and arrested him. The authorities say he confessed to teaching cartel members how to build grenades and convert semi-automatic weapons to automatic. Horowitz’s report says marked grenade hulls from ATF’s November 2009 operation involving Kingery may have been used by drug cartel members in a March 2011 gun battle with Mexican soldiers. According to a Justice Department “Significant Information Report,” evidence connected a Kingery grenade to a fierce battle in Guadalajara that took the lives of three Mexican police in October 2013. Authorities say five members of the Jalisco New Generation Cartel used at least nine firearms and 10 hand grenades in their attack on Mexican police.